Beth is back with an update on how she pushed through her plateau! Beth Ashley returns to the Meal Mentor Podcast with an update on how she pushed through her plateau by identifying her "true hunger" and lost an additional 20 pounds! Beth shares how a few tiny tweaks made all the difference, her experience using MyFitnessPal, how she overcame feeling "hangry," plus more weight loss strategies on this episode of the Meal Mentor Podcast! Should you eat at meal time if you're not hungry? How can being more restrictive lead to weight gain? How can logging your exercise on a calorie counting app sabotage your progress? What happens when your body isn't busy digesting food? Lindsay and Beth share some tactics for being accountable for your choices. Is the scale reliable for tracking weight loss? Start your meal plan membership here. 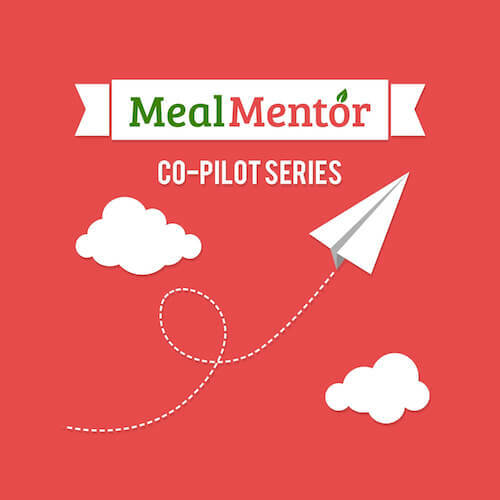 On the season finale of the Meal Mentor Podcast, Lindsay welcomes back Scott and Carly to discuss maintaining a plant-based diet during the holidays! Meal Mentor member Jenny stops by to discuss her experiences eating plant-based in China!